With its 12th century farmhouse, this fmaily-run working farm resides on the edge of the peaceful Taw Valley. 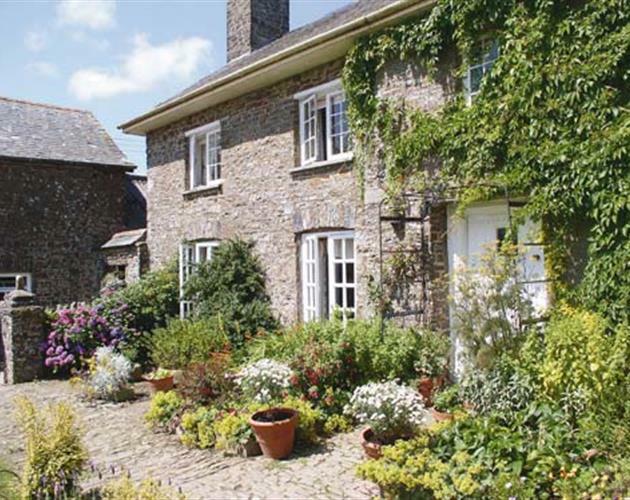 It is close to the village of Chittlehampton and six miles from the market town of South Molton. The beautiful North Devon coastline and the wilderness of Exmoor are both close at hand. The farm is worked sustainably with heavy horses, using traditional methods. The house faces South, and has spacious rooms. Three double bedrooms are available, one of which boasts a splendid plasterwork ceiling. A log fire and wood-burning stove heat the large sitting room and dining room. Scrumptious breakfasts and tasty evening meals are provided with home-grown produce. Our aim is to make our guests feel throughly relaxed and comfortable. For the active, there is plenty to do in North Devon. There are opportunities to ride, walk, cycle and fish. An eighteen-hole golf course is a mere five miles away at High Bullen Hotel. Rosemoor Gardens (Royal Horticultural Society) and National Trust properties are within easy travelling distance. Alternatively, if you just want to sit and soak up the sun, or read a boook, Higher Biddacott has a peaceful, private garden in which to take your ease. The farmhouse is open all the year round.